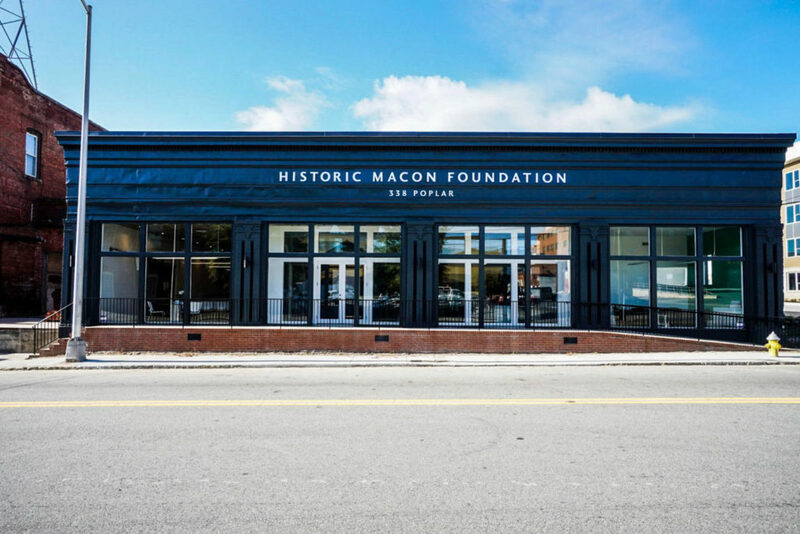 Macon’s outstanding preservation organization, Historic Macon Foundation (HMF), made its new home in a 1908 commercial building in the city’s downtown after a substantial adaptive reuse project. The building served as a cotton warehouse, offices, storage, a garage, a produce company, and a boxing club before being vacated. HMF practiced what they preach and utilized historic tax credits to finance the project. Not only have they created a beautiful and functional space for their growing organization, but also have taken part in the kind of preservation that has had such a large impact on Macon.